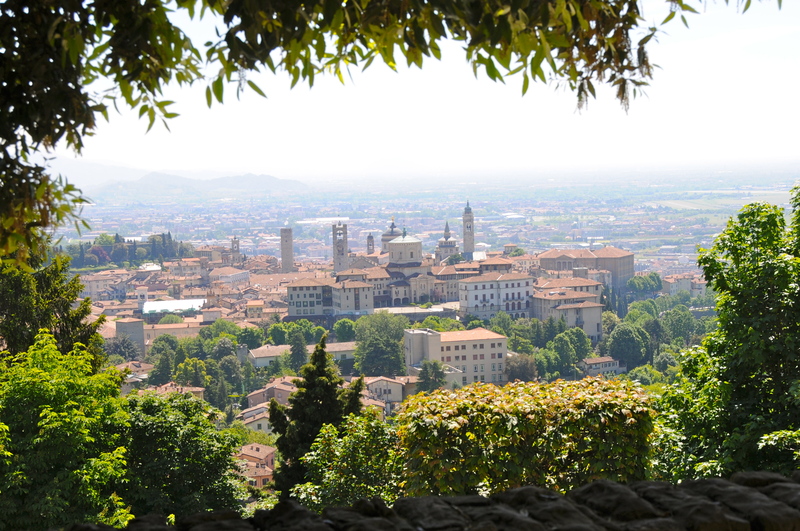 ONE HUNDRED YEARS AGO, German author Hermann Hesse visited the upper and lower cities of Bergamo in Italy, fifty kilometers northeast of Milan. 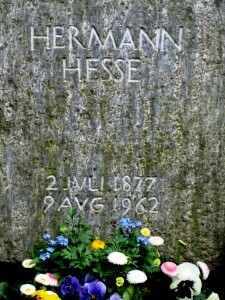 Hesse was in his mid-30’s. He had recently fathered a third child and had yet to write Siddhartha or The Glass Bead Game. But this trip came before a brave, pivotal moment in his life. 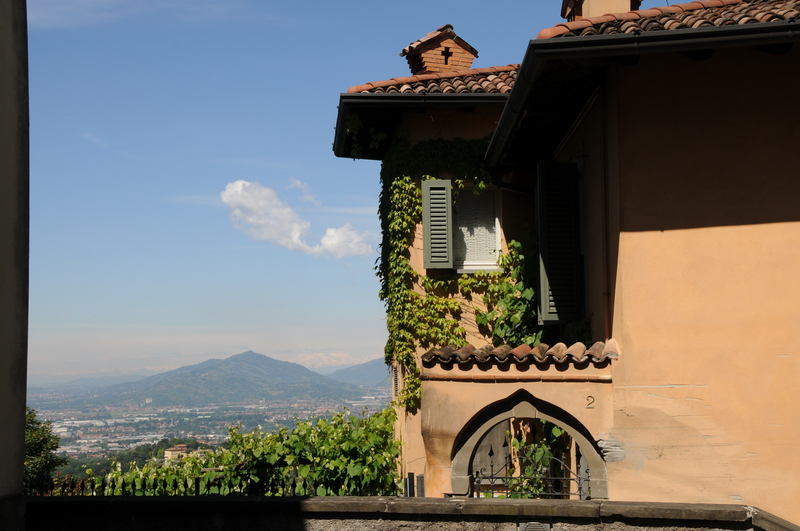 Hesse paced over curving, cobbled alleyways between stone clock towers, ancient cathedrals, and red tile roof homes inside the walled upper city – Città alta – before climbing to the higher village of San Vigilio. 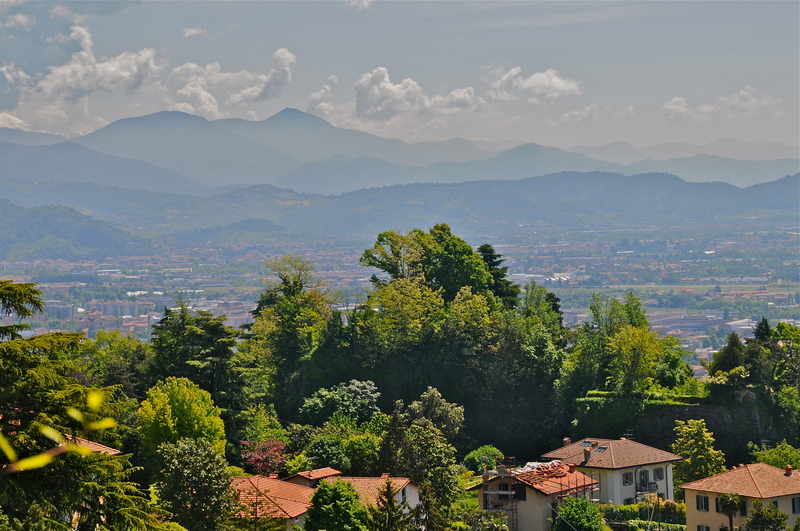 From here he looked out toward plains, alps, and lush hillsides that inspired his remark of this being one of Italy’s more beautiful corners. Hesse visited three years after publishing his novel Gertrude, in 1910. Sage words from a wanderer. How much did Hesse adhere to what he wrote about individual responsibility? In 1914, the year after he visited Bergamo and the year in which the First World War broke out, Hesse was assigned a military duty of guarding prisoners. He then wrote an essay that advocated this his fellow citizens stay wary of zealous nationalism. The result was such a backlash that he eventually forfeited his citizenship and took a Swiss passport instead. In retrospect, his bold words appear prophetic. 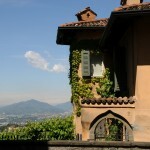 Only after purchasing my ticket to Bergamo did I learn of Hesse’s visit to the village just above that city – San Vigilio. After traveling from the Città alta via a funicolare cable tram to San Vigilio village, I found an outdoor cafe where a half dozen people sat. The waiter refused to serve me, saying I had to wait an hour before lunch time. 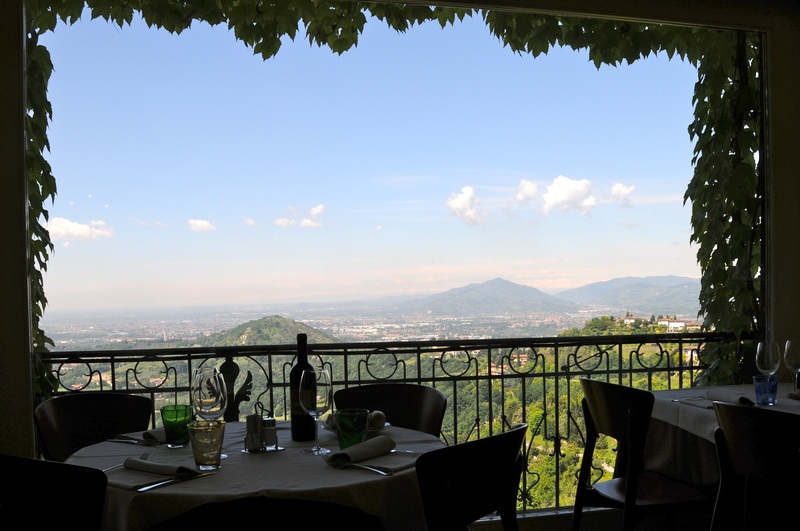 Mystified and frustrated, I paced instead to the neighboring San Vigilio Ristorante Pizzeria, with a magnificent view down valley. The unexpected snub from the previous waiter delivered good fortune. I sat and read a restaurant pamphlet, which told how this eatery opened in 1913 with the name Isola Bella (Beautiful Island). Hesse had visited this location that same year, where he had a ‘quick glimpse at the glass doors’ of this same restaurant and was inspired to enter because of the view. 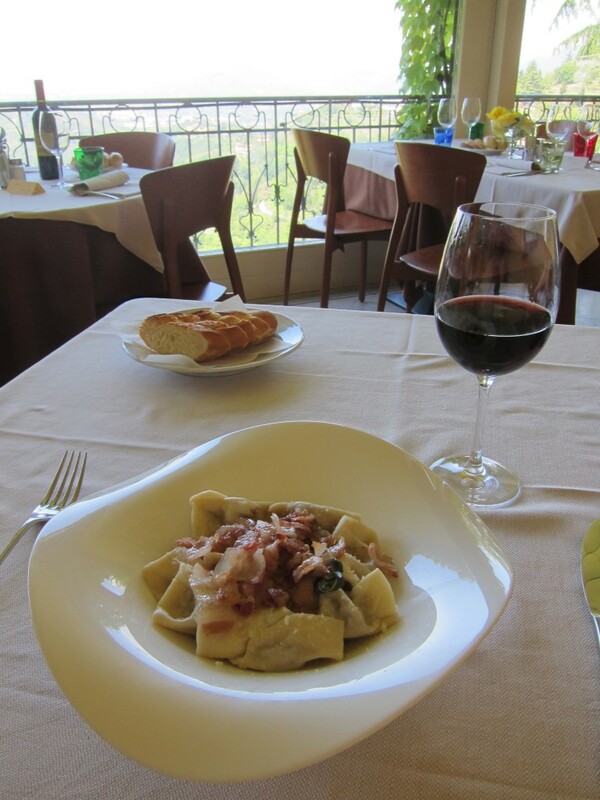 In a show of happy solidarity with this wandering writer, I ordered casoncelli, Bergamese pasta rolled to resemble the winged hat of a nun, topped with bacon. I then drank a glass of Valcalepio rosso local red wine. Hesse won the Nobel Prize for Literature in 1946, but his book sales plummeted before being revived again by the 1960s ‘counterculture’ movement in the US and Europe. Hesse often wrote about unexpected twists of journeys that shape us. 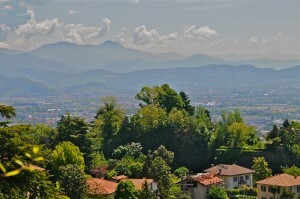 Years after this visit to Italy, Hesse moved to live in the Swiss hillside village of Montagnola, high above Lake Lugano. 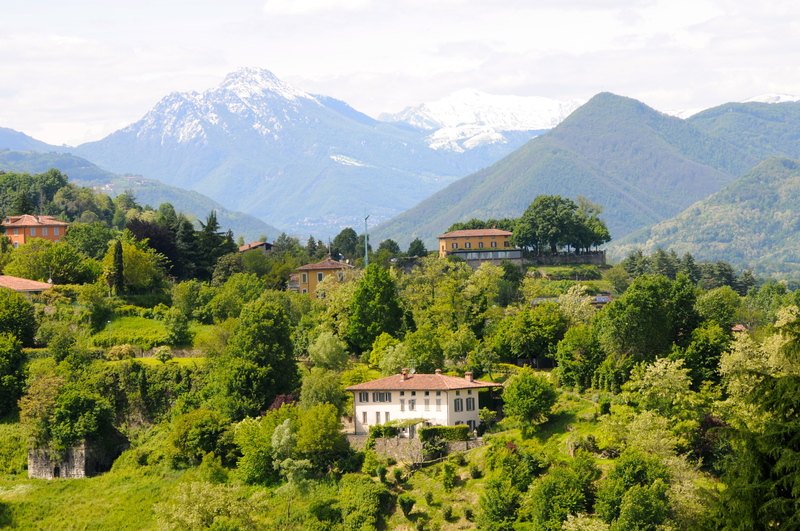 This enclave shares much in common with San Vigilio – being a small and sparsely populated hillside community with access to stunning views, crisp air, and no sense of rush. 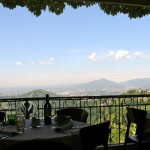 Were I a betting man, I’d guess that his first visit to Montagnola reminded him of his happy visit to San Vigilio. Regardless, this wandering author who inspired generations to seek personal enlightenment before monetary gain knew the value not only of beautiful countrysides, but of courage. Learn more about Roundwood Press, or the author, or the books.